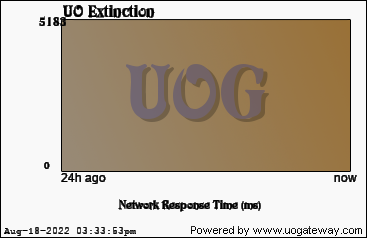 UO Extinction [Dedicate Server] [AOS/ML/SE/SA/TOL] New ENG shard with new content every week! No skill caps, 350 stat cap, fast skill and stats gains, New Champs, Hundreds of custom monsters/Items, 190+ Quests, Custom crafting, Mature & Experienced Staff, Friendly Community and Custom Staff Event every day! Stats last updated 47 seconds(s) ago using 26238 data samples.